While you may be wrapping up your summer vacation or preparing for a ramp up to a busy fourth quarter of business, the Gilbane team is securing the speakers for an exciting conference Dec. 2 – 4 in Boston. Evaluations of past sessions always give high marks to case studies delivered by users. We have several for the search track but would like a few more. If one of your targets for search is documents stored in SharePoint repositories, your experiences are sure to draw interest. SharePoint is the most popular new collaboration tool for organizations with a large Microsoft application footprint but it usually resides with multiple other repositories that also need to be searched. So, what search products are being used to retrieve SharePoint content plus other content? A majority of search applications provide a connector to index SharePoint documents and they would not be making that available without a demand. We would like to hear what SharePoint adopters are actively using for search. What are you experiencing? 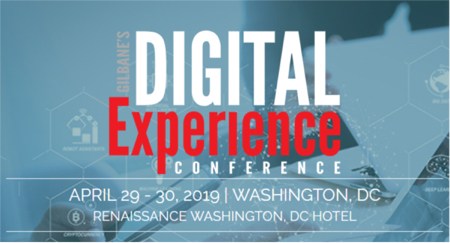 If you would like to participate in the Gilbane Conference, and have experiences you to share, I hope you will get in touch and check out the full program. On a related note, I was surprised, during my recent research, to discover few identifiable user-groups or support communities for search products. Many young companies launch and sponsor “user-group meetings” to share product information, offer training, and facilitate peer-to-peer networking among their customers. It is a sign of confidence when they do help customers communicate with each other. It signals a willingness to open communication paths the might lead to collective product critiques which, if well organized, can benefit users and vendors. It is also a sign of maturity when companies reach out to encourage customers to connect with each other. May-be some are operating in stealth mode but more should be accessible to interested parties in the marketplace. Organizing functions are difficult to manage by users on their own professional time, so, having a vendor willing to be the facilitator and host for communication mechanisms is valuable. However, they sometimes need to have customers giving them a nudge to open the prospect of such a group. If you would value participating in a network of others using your selected product, I suggest taking the initiative by approaching your customer account representative. Communities for sharing tips about any technology are important but so is mutual guidance to help others become more successful with any product’s process management and governance issues. User groups can give valuable feedback to their vendors and spur product usage creativity and efficiency. Finally, as an analyst I would much rather hear straight talk about product experiences from those who are active users, than a filtered version from a company representative. So, please, reach out to your peers and share your story at any opportunity you can. Volunteer to speak at conferences and participate in user groups. The benefits are numerous, the most important being the formation of a strong collective voice.